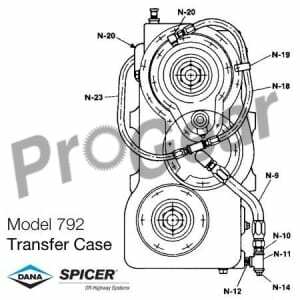 We stock Rebuilt Spicer transfer case models, as well as replacement parts for all rebuild kits, overhaul kits and more. We stock all rebuilt transfer case models, they are ready to ship worldwide today. One call to us and we can provide international shipping the same day service, call 877-776-4600.